Will you make it out alive? Twentieth Century Fox Home Entertainment invites you to unlock the mysteries of the maze on December 16 when The Maze Runner hits Blu-ray and DVD. 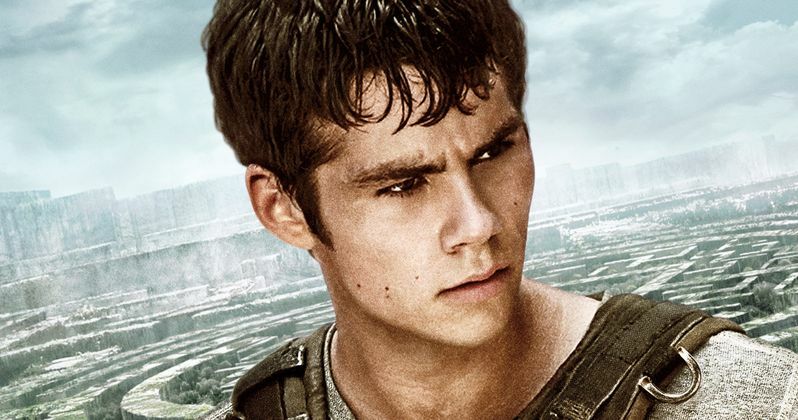 Based on the book by James Dashner that made The New York Times best-sellers list for more than 100 weeks, The Maze Runner brings together an up-and-coming cast of young talent including (Dylan O'Brien (Teen Wolf, The Internship), Thomas Brodie-Sangster (Game of Thrones), Will Poulter (We're the Millers), and Kaya Scodelario (Skins) that do whatever it takes to survive. In this heart-pounding survival thriller based on the best-selling novel, Thomas (Dylan O'Brien of MTV's "Teen Wolf) wakes up trapped in a massive, ever-changing maze with a group of boys who have no memory of the outside world. Facing dangerous obstacles at every turn - especially the deadly Grievers that roam the concrete corridors at night - Thomas and the others must race to piece together clues in order to discover their true purpose... and find a way out before it's too late! The Maze Runner Blu-ray comes in a 2-Disc Combo Pack, including two hours of pulse-stopping bonus features that make for the ultimate fan gift this holiday season. Created especially for this release by BOOM! Comics, dive into the backstory world of the Gladers before Thomas' arrival, with the limited-edition, twenty-four page prequel comic book written by director Wes Ball and co-screenwriter T.S. Nowlin. Fans will also receive a limited time offer for the mobile game featuring a bonus runner "Newt" plus free in-game currency on Blu-ray and DVD.